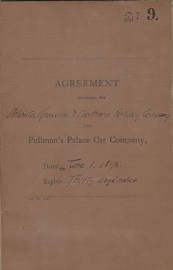 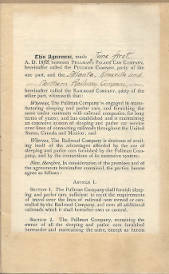 Title Agreement between Atlanta, Knoxville, & Northern Railway Co. and Pullman Palace Car Co. 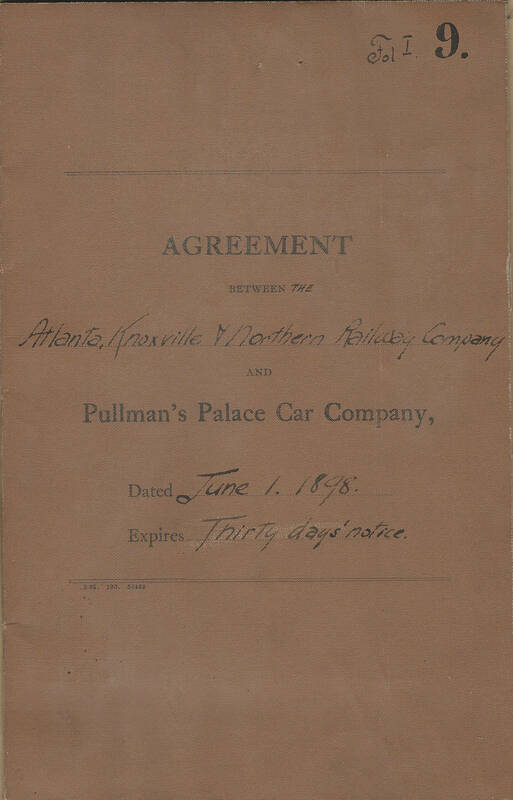 Description Contract between between Atlanta, Knoxville, & Northern Railyway Co. and Pullman Palace Car, June 1, 1898 effective date. 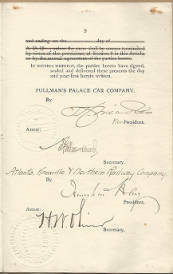 Expires on 30 day notice.